Emergent’s forecast on the future of strategy and communication. The food and beverage marketing paradigm of the last 30 years grounded in “convince and persuade” has fallen away. It’s being replaced by a stronger and more viable path to brand relevance: Validation Marketing™ – a focus on tangible evidence of your company’s beliefs and commitment to quality. The old way of doing things for the most part was built on telegraphing assertions: invoking promises and claims that trumpet product features, formulation specs and benefits. Today a new take on effective strategy has coalesced at Emergent; one custom designed to elicit trust and add meaning. The formal definition of Validation in this context is to provide conclusive proof, evidence and demonstration of what we want consumers to believe about your brand, your company and your business. Five key principles sit underneath Validation Marketing. These foundational ideas spring from a variety of insight-research studies that chart the migration from self-reverential declarations of value to a mirror of what consumers care about and what is relevant to them. At no other time in the history of modern marketing has belief and mission stood so strongly as a gateway to brand relationships with consumers. A brand’s higher purpose represents a departure from strict transactional thinking and falls from insight into what the core consumer truly cares about – what they value. It must also be a pure reflection of the company’s core beliefs, embedded in the DNA of how the organization operates. Openness is best served generously and often; pulling back the curtain on supply chain standards, processes and commitments. Letting the consumer in the door to advise and co-create. Importantly, acquiring a willingness to openly admit mistakes – a very powerful and very human, laudable quality. 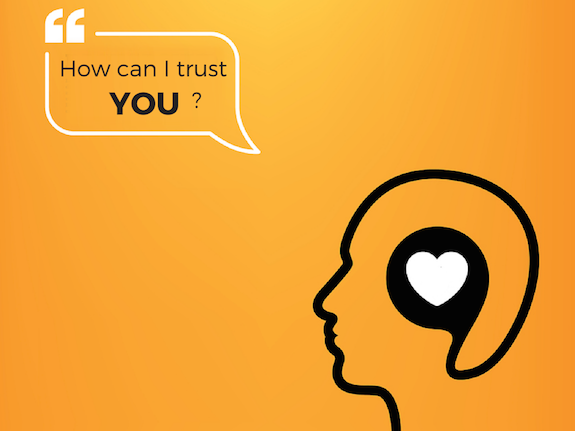 This nurtures trust – the pivot point in any meaningful brand relationship. Third-party credibility is now the business accelerator; not exclusively gross impressions or reach and frequency metrics (tonnage in media weight) that defined marketing traction for a generation. The importance of respected influencers today is the validation they provide to reinforce and confirm what a brand or retailer conveys is indeed true. Influencers inform from a platform of embedded trust. While Validation Marketing looks to be a practice devoted to analytical assessments and information sharing, in fact the best path to consumer engagement is based on appeals to the heart not the head. In the end this is about commitments and beliefs. These subjects are best served with a heaping tablespoon of emotion and baked-in lifestyle relevance. When a company realizes and integrates its higher purpose into all aspects of how you go to market, the outcome feeds a more emotive form of communication – one that inspires a real connection to people. At the recent Pet Food Forum convention in Kansas City, presenter John Stanley of John Stanley & Associates cited research showing 93 percent of Millennials make their purchase decisions from endorsements, and of those 66 percent came from friends. This helps us see social channels from a new and productive angle: the mechanism of social proof – another step in the validation ecosystem. If friends’ recommendations matter to a purchase decision then it follows that brand fans can be powerful ambassadors providing the grist for community and positive conversation about the brand. Getting to a place where people want to become “members” of a brand community – and not merely purchasers – stems from a brand’s meaning and higher purpose and its surrounding validation and advocacy. Message – Tell the stories of how you source, the relentless drive for quality, the real people who manage your effort (and yes, your magic! ), and the standards you’ve created to ensure repeated excellence. People want to know what goes into the foods and beverages they consume. Take people back to the farm. Manner – There’s some real, honest emotion around food and the role it plays in our lives. Create context for your products within the experiences people have in the kitchen, at the table and how they live. Connect the love people have for food and the social experiences it enables with your brand. Make – Emphasize craftsmanship and attention to detail in how you make products. What steps do you take to ensure the end result is of high quality? Help people understand how you do what you do. And just as important: tell consumers what you won’t do, the lines you won’t cross and the compromises you won’t make.